I always like to give my team a little welcome back gift. Most of us have been together for many years, so it gets a little harder every year to come up with something new! This summer while searching Pinterest I came across this idea, originally posted at Blossom Bunkhouse. 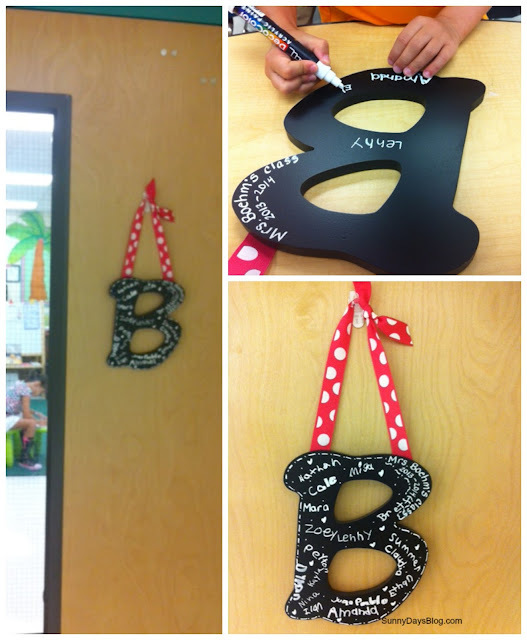 This one was thoughtfully made as a gift to the teacher from the class but I thought it would also make a great gift for my team. It was pretty easy to make. 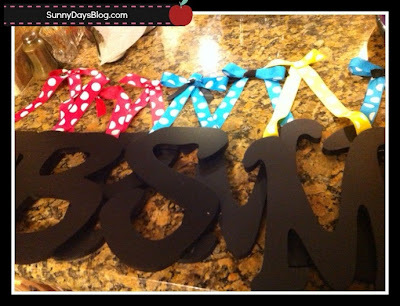 I bought the letters already painted black from JoAnn's, some ribbon and I hot glued it together. The back wasn't so pretty, but no one will see that. I hope. I bought some Deco Color paint pens and we all had each kid in our class sign them. I hung mine on the door with a command hook, and so far so good! The first grade team leader did the same for her team, so this lovely little monogram is hanging outside every door in our building. It's such a nice welcome and really sends the message that our class is like a family. It will also be a very sweet memento of this class for years to come. Now behind the door, we've been busy, busy, busy! Lots of pictures from our first week coming soon - as soon as I can catch my breath! Whew, these first weeks really tire a teacher out! What a splendid idea!! I must run out to Joanne's this week... Thanks so much for sharing this. All the best for a wonderful week! LOVE that!!! Any chance you found the letter O while at Joannes? Michael's and Hobby Lobby didn't have the letter O. It was so weird to me! I love that every door in your building has the letters - really cool! Aww that is such a cute idea. They turned out great and it's a fun way to remember the students by in the future too. Highball Glasses - Welcome to Badash Crystal, your online retail shop for crystal candle holders, scotch decanters, paperweights, crystal stemware, glass goblets and glass cylinder vases. They turned out so cute! What a great idea to make for your team!! I love these! They are adorable. I love having a special memento from my classes, too, so what a lovely double purpose! I thought at first it was chalkboard paint with chalk but this is much better, won't smudge. Great idea! 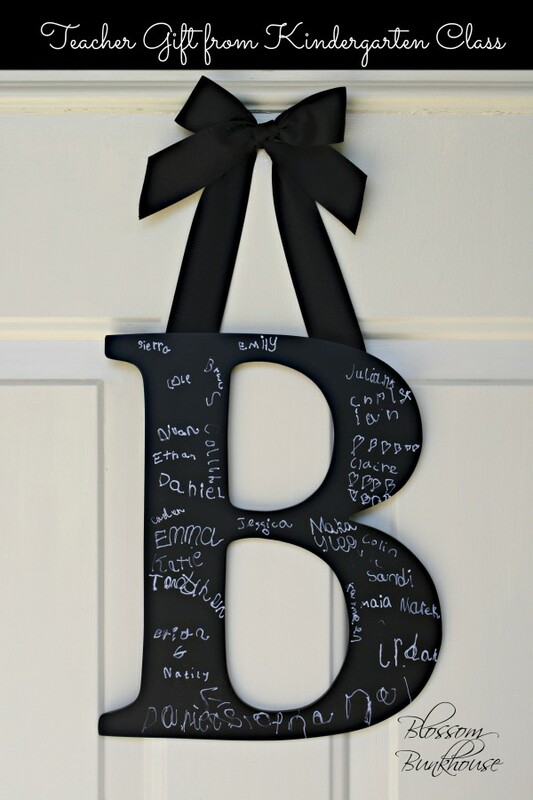 Very neat door hanger. Thanks for the idea. Happy teaching. Cool Crayons and Printable Labels for You!